No wonder Google is the most popular search engine in the World and also in Philippines. Last month (March 2016), Google is number one in the Global Search Engine Market with an average of 67.78%. Bing is number two with 13.27%. Baidu in the third spot with 8.86%. And Yahoo has only 8.14%. 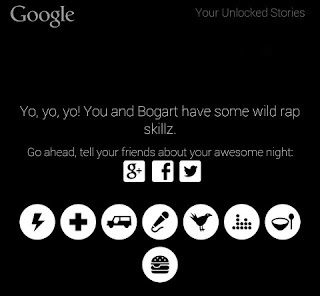 Your unlocked stories and Badges to collect. Way back year 2014, Google Philippines just announced its new campaign, the #GoogleMoLang movement. It is an enjoyable virtual adventure to create a perfect night with cool possible endings. The movement brings the number one Search Engine in Filipinos life so they will become aware to search more and see how Google can help them. If you want to try this awesome campaign and get an enjoyable night with your favorite and idolize internet content creators and stars like Mikey Bustos, Erwan Heussaff, Chicser, Spongecola and many many more, just click and visit this link to know more - Google PH - Google Mo Lang! So, what are you waiting for? 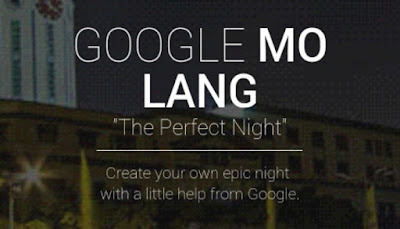 Create your own epic night, collect all badges, with a little help from Google! Start to learn something new, i-Google mo lang! (Google It!). This is completely new for me. I'm going to try your link. Thank You for such a wonderful post! Awesome gamification from Google! Also love how they made use of the Pinoy "GMG" saying. In case you dont' know that, it's Google mo g**o. Haha. It sounds cool huh, I don't know that google has a campaign like that, thank you for the infos! I'm going to try that haha. I didn't know there was such a campaign going on. I'll definitely try this out. :) Kudos to the creative marketing head of Google. This is why Google is the most popular search engine in the world. Before, I used Yahoo a lot but when I discovered that it's easier and hassle-free to Google, I changed. Haha. It's a party-like campaign. I've been always a fan of google, I google anything I want to know. Any way tried the campaign and it's so fun and interactive. Thanks for sharing. Galing talaga ng Google! I didn't knew a lot about the campaign but I always been a Google user since forever. Thanks for sharing this. I was entertained by the vid you shared on your link. I never new this link existed. I'll vidit the link you gave! I didn't have any Idea about this thing! thanks for sharing this. will try this now! I'm Erik - Filipino. Blogger. Autodidact Person. Introvert. Technopreneur. A Dream Pursuer. The Geeky Promdi © 2019. All rights reserved!